Lotto's beautiful "Madonna with the Child and St. Catherine of Alexandria," just one gem on at the Quirinale through May. In Italy in May? Don’t miss out on some of the great shows — and free events — happening across the country! 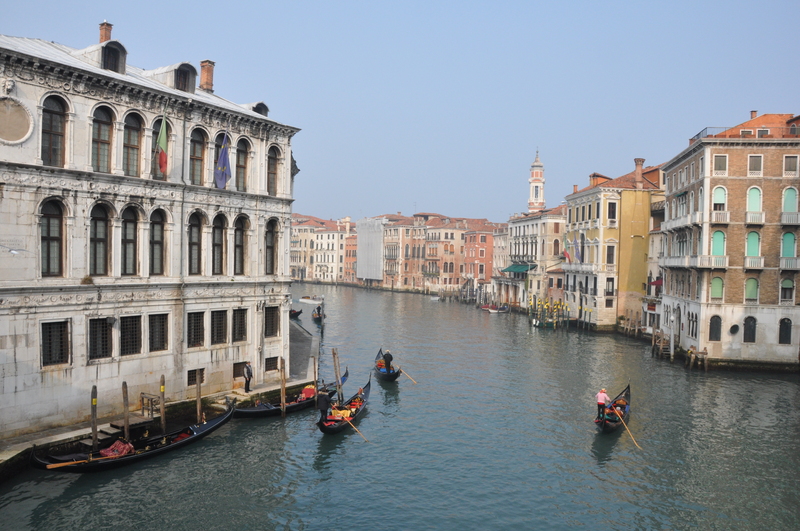 Below, our top events in the big three (Venice, Florence, and Rome). Notte dei Musei. May 14. From 8pm-2am, museums across Italy will be open, and free! The list of which museums will participate is still pending, but last year, it included pretty much every major state museum. Stay tuned for updates! Artisans and the Palace. May 13-15. For three days, traditional “botteghe” — or workshops — are set up in Palazzo Corsini’s beautiful gardens and orangeries. More than 80 different craftspeople exhibit not only their wares, but how to make them — from bronze–making to gold-leafing, pottery to perfumes. Vinum Nostrum. Until May 15. A wine-lover? Then don’t miss this exhibit at Florence’s Silver Museum, which takes you through 2 millennia of wine with ancient sculptures, frescoes, and modern multimedia. There’s even a completely reconstructed ancient Roman wine cellar, complete with ancient amphorae, barrels and other finds from Pompeii. Perfumes of the Boboli. May 19-22. Artisans show off their scent-focused creations — including not just perfumes, but soaps, candles, cosmetics, even, apparently, “rare prints and books” (don’t ask!) — in the beautiful Boboli gardens. Iris Garden. Until May 20. 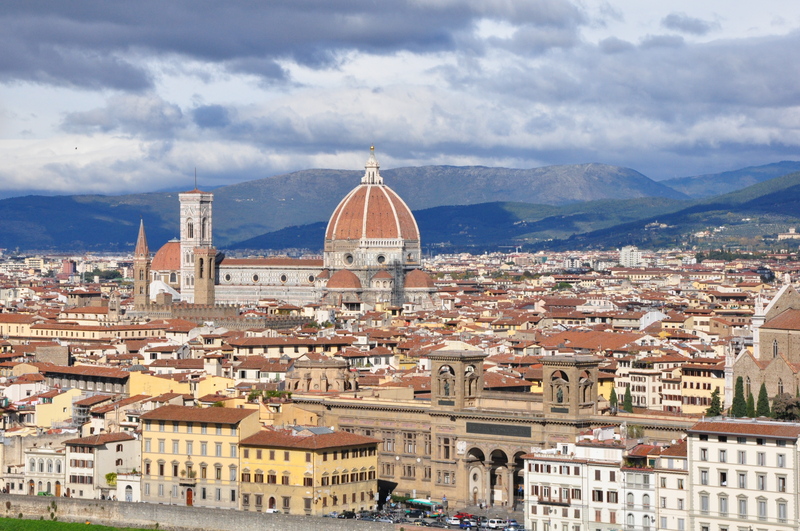 In honor of spring, make a stop at Florence’s famous Iris Garden, located just off Piazzale Michelangelo. Here is where the best gardeners in the world compete in Florence’s International Iris Competition. Even if you can’t tell an iris from an orchid, it’s a great reason to see some beautiful blooms. And it’s free! Florence Gelato Festival. May 25-29. There’s no better excuse to eat gelato… than a gelato festival! Two different “gelato villages” in the center of Florence, at Piazza Pitti and Piazza della Repubblica, will boast all the ice cream you can handle — from workshops showing how the Italian delicacy is made, to (of course!) lots of samples. Yum! Picasso, Miró and Dalí. Angry Young Men: The Birth of Modernity. All month. This exhibit at the Palazzo Strozzi, running until July 17, features more than 75 paintings from the modern painters’ early (and apparently angry!) years. Rialto Antiques Market. May 8-9. An antiques market takes over the area near the Rialto Bridge. Veronese: The Tales of Esther, Revealed. Through May. After two years of restorations, two of Veronese’s most famous masterpieces have been unveiled to the public in the lavish Palazzo Grimani. Roma Wine Festival. May 7-8. Florence isn’t the only one with foodie festivals: Two days of wine workshops and presentations — not to mention tastings! — of wine descend on the capital city. 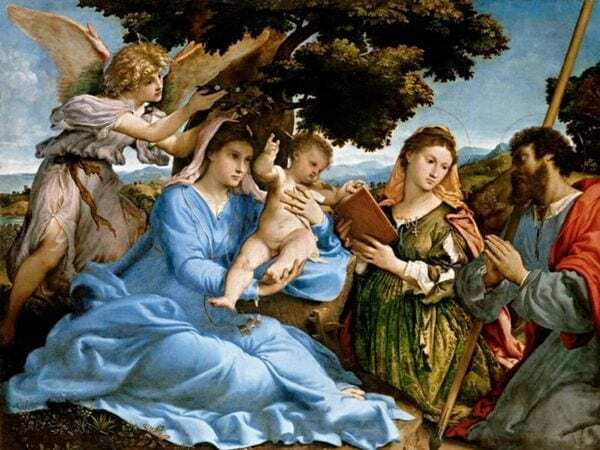 Lorenzo Lotto. Through May. He was one of the most important artists of the Renaissance — but it’s rare that so many of his works come to Rome. Come see this Venetian’s masterpieces at the Quirinale before June 12. Michelangelo Pistoletto: From One to Many, 1956-1974. Through May. A main leader of Italy’s important “Arte Povera” movement, Pistoletto’s works are also accessible — and fun! — for those who don’t consider themselves modern or contemporary art fans. Come see Pistoletto’s funky sculptures and paintings in the new, world-famous MAXXI Museum. Dante Gabriel Rossetti, Edward Burne-Jones, and the Myth of Italy in Victorian England. Through May. Italy doesn’t sieze the imaginations of only modern-day visitors — it’s had a big impact on past writers and artists, too. See the proof at the National Gallery of Modern Art in the Borghese park, where there’s a show celebrating the English pre-Raphaelites and their Italian inspirations. Previous articleHeading to the Amalfi Coast? Don’t Stay in Sorrento. Stay Here Instead. Beyond fascinating art and legendary cuisine, a major part of Italy’s culture is music. Those with a car hire in Venice can make the short drive to Udine this summer for the city’s annual Udin & Jazz Festival, which will feature talent from all over the world…. We will be including a post on Cinqueterre within the coming months — stay tuned! Hey, just hopped over to this site from stumbleupon. This isn’t not an article I would normally read, but I liked your spin on it. Thanx for creating a piece worth reading!